At the CES 2019 technology show, ASUS has just introduced its latest laptop products, some of which are notable. StudioBook is a workstation introduced by Asus at CES 2019 event. The device is equipped with a screen up to 17inch in size with 16:10 ratio. The point here is that the overall size is roughly the same as the 15-inch MacBook Pro. Not only that, StudioBook has a background with DCI-P3 color range coverage up to 97% and Delta E <2 color deviation, which can be opened at a 180 degree angle. As a mobile workstation, Asus StudioBook S is equipped with Intel Xeon E-2176M processor and Nvidia Quadro P3200 VGA. In terms of memory, it can be upgraded up to 64GB of RAM and 4TB SSD PCIe. 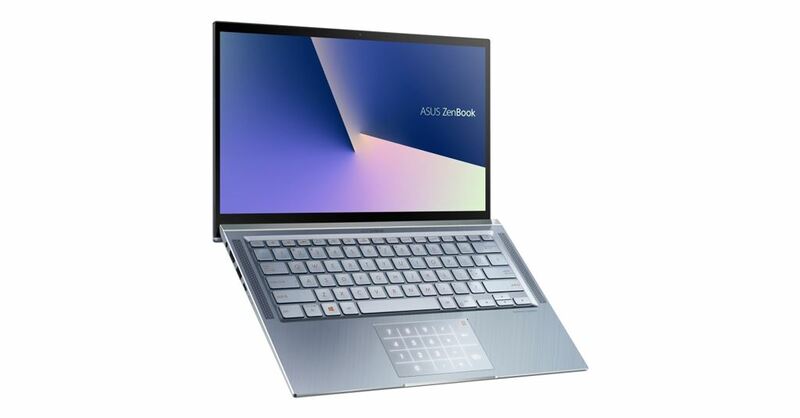 Despite its compact size equivalent to a 15-inch MacBook Pro, Asus still equips the StudioBook S with more connectivity ports including: three USB A 3.1 Gen 2 ports, SD 4.0 card slot, HDMI 2.0, a USB-C Thunderbolt 3 port with transfer speeds of up to 40Gbps, can output images at 8K resolution. The device is also integrated Wi-Fi 6. Asus has adopted the solution of the smartphone market, This allows the Zenbook S13 to have an ultra-thin screen border but still has a webcam for users. Asus said that with this design makes the screen rate compared to the camera body accounted for 97% and confirmed that the ZenBook S13 is the laptop with the thinnest screen in the world today. The ZenBook S13 has a 13.9-inch screen (Full HD resolution) but has a screen border of only 2.5mm, making the overall size of the product only equivalent to a 13-inch laptop. Inside the product is Intel’s 8th-generation Core i7 processor, with up to 16GB of RAM memory, and SSD storage with a maximum capacity of 1TB. 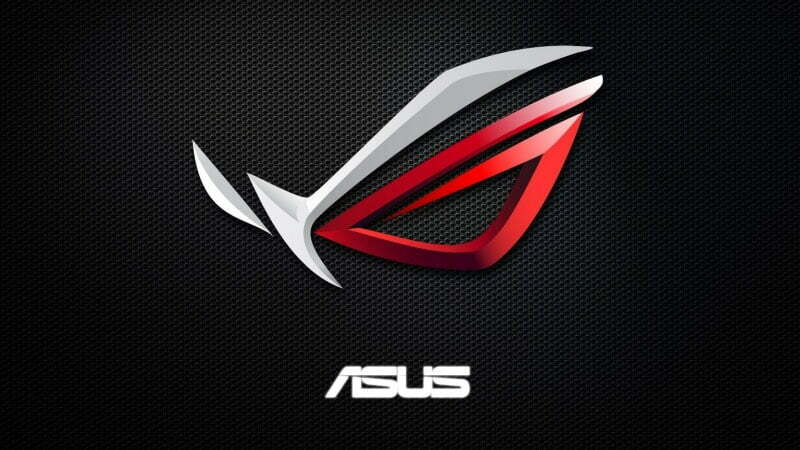 The product is also equipped with Nvidia’s optional GeForce MX150 discrete graphics card. Regarding the connection port, the product is equipped with 2 USB-C ports, one USB-A port and microSD card reader slot. The product also has a built-in fingerprint sensor right on the trackpad to enhance security. The product will be sold in the first quarter of 2019, but the price is yet to be announced. 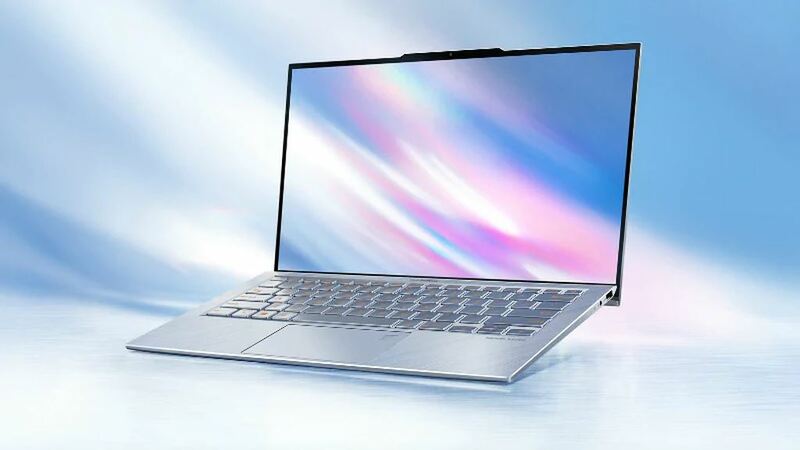 In addition to the ZenBook S13, ASUS continues to use the ultra-thin NanoEdge screen for the ZenBook 14 (UX431) to deliver a screen-to-body ratio of up to 86% and a smaller size than its predecessor UX430 up to 6%. 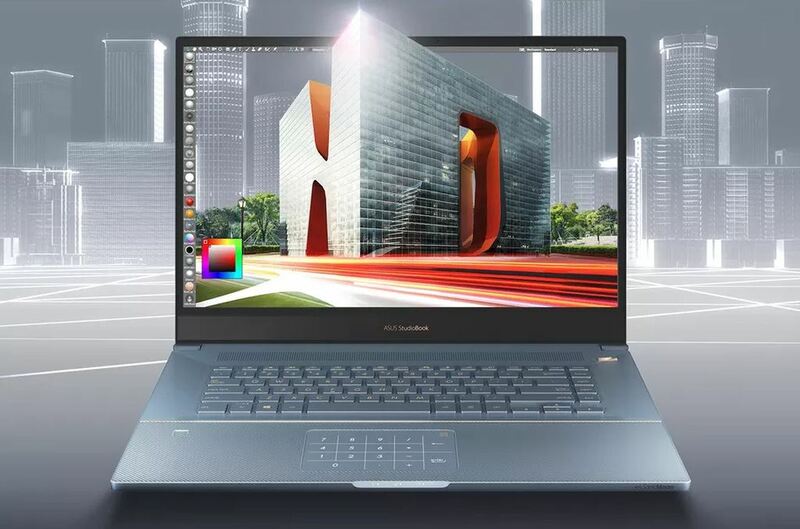 Still like other ZenBook models, the ZenBook 14 retains a strong configuration with Intel Core i7 processor, Nvidia Geforce MX150 graphics card, 16GB RAM capacity, PCI-Express SSD hard drive and speed Wi-Fi Gigabit high. With NumberPad, you will have a numeric keypad integrated directly into the trackpad area for easier data entry. Thanks to a 4-speaker system, the ZenBook 14 delivers a realistic and vivid sound experience. Both the ZenBook S13 and the ZenBook 14 will have a completely new Blue Eden option. 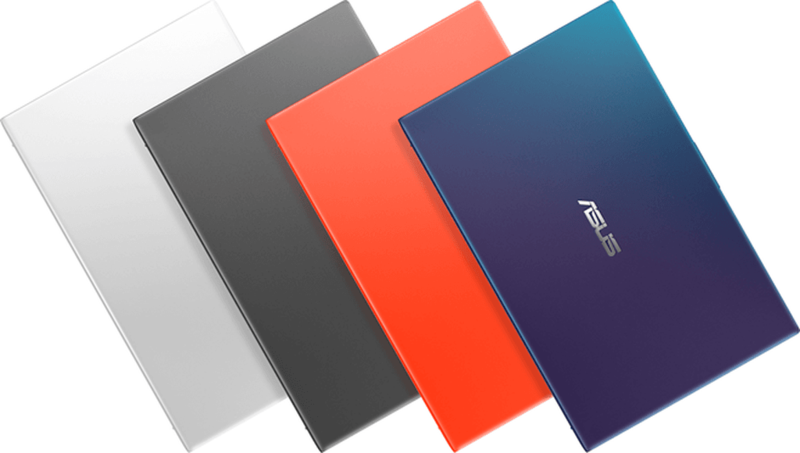 The ASUS VivoBook X412 and X512 are popular laptops designed with a variety of youthful and novel color options such as Green that will have a color effect that changes with light or Coral Orange. Still using the ultra-thin NanoEdge screen to reach 88% of the screen area compared to the camera body. 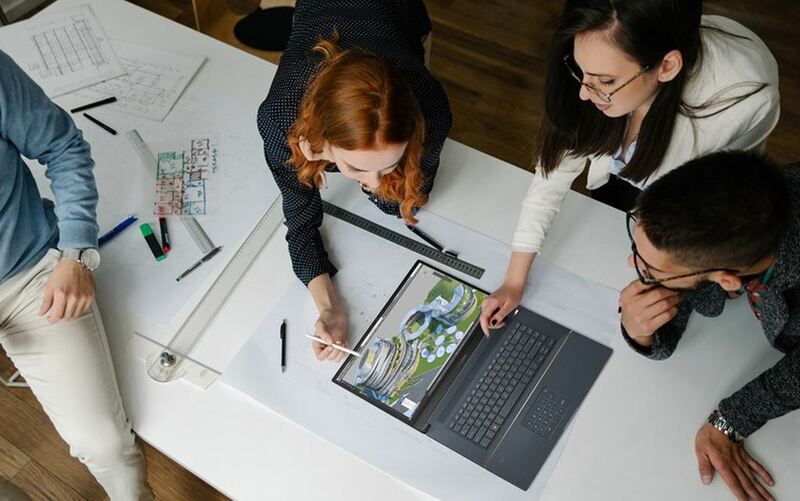 VivoBook has a compact size but no less powerful configuration with Intel Core i7 processor 8th, Nvidia graphics card, dual storage system and exclusive ErgoLift hinge design provide a better keyboard experience. ASUS also offers Chromebook product exhibits running Chrome OS with ASUS Chromebook Flip high-end with 360 ° swivel design and 4-edge NanoEdge touchscreen, with battery life up to 10 Voice and ChromeBook Education are designed exclusively for high-end military-standard educational environments, water-proof keyboards, which help the product to operate sustainably for a long time.